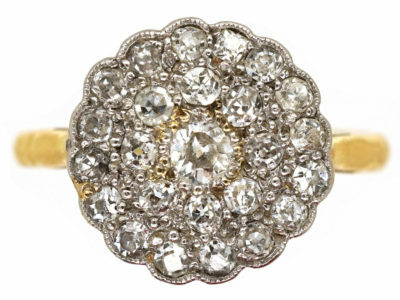 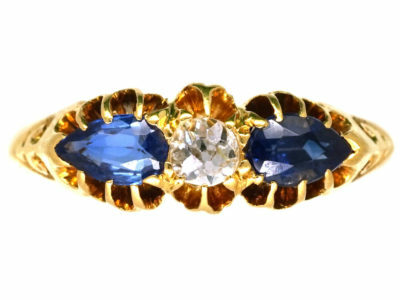 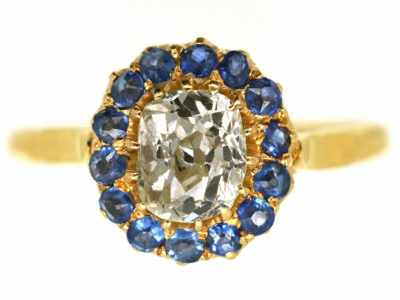 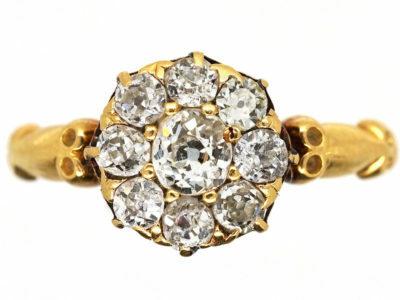 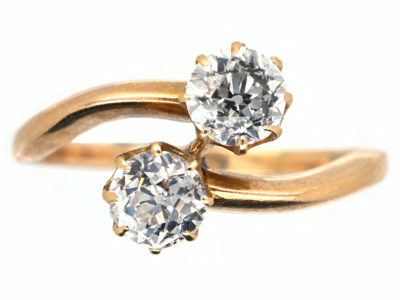 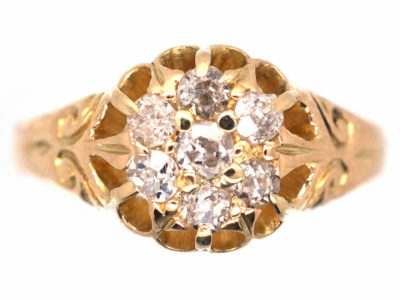 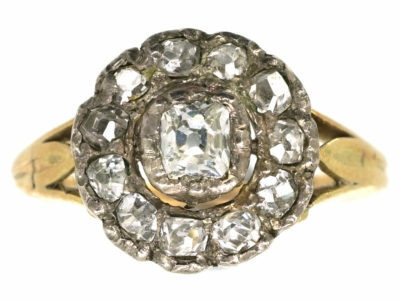 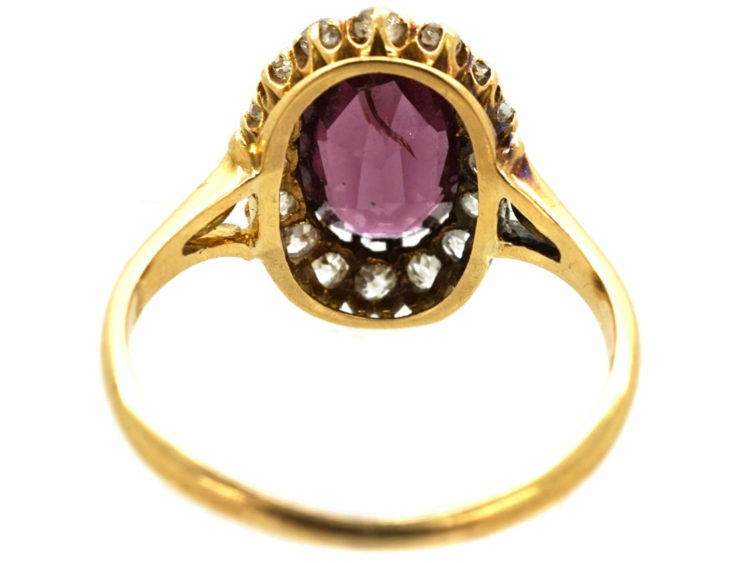 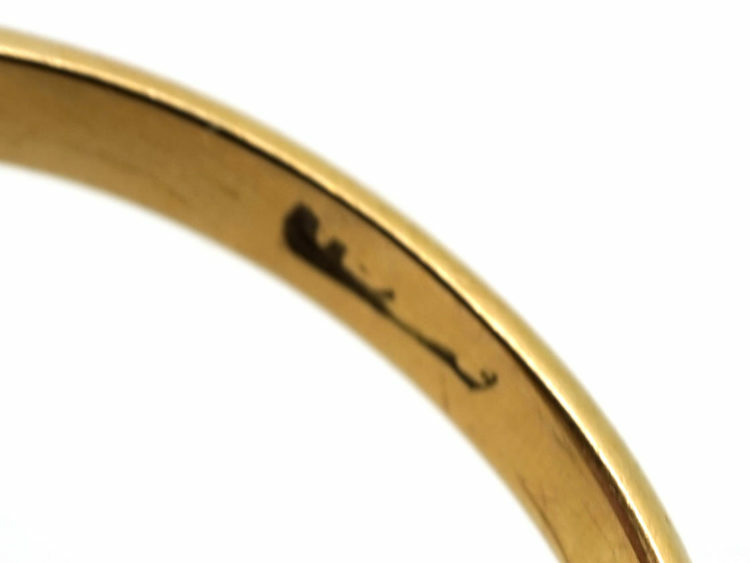 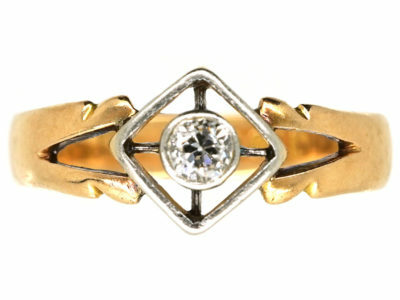 A striking 18ct gold ring that was made in the early 1900s. 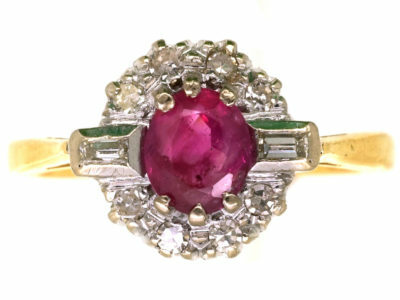 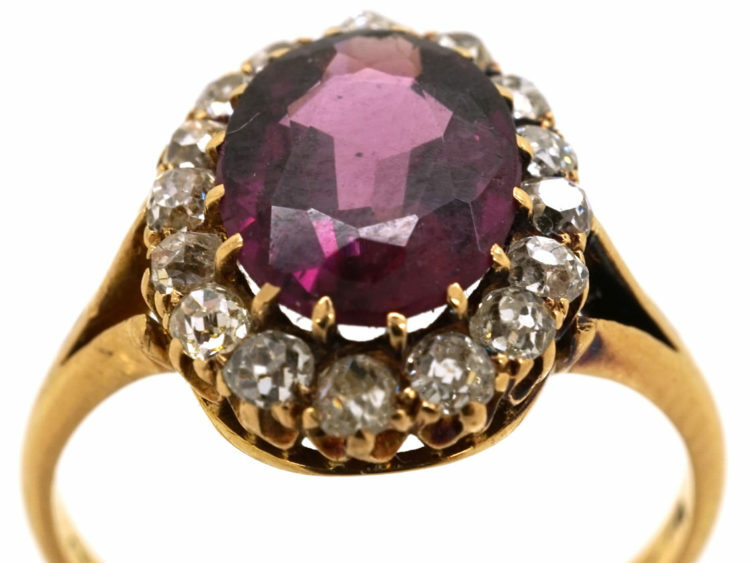 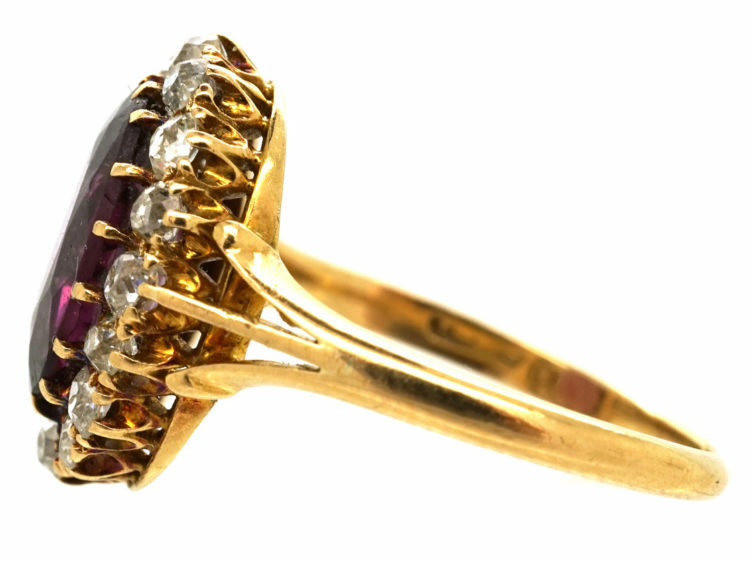 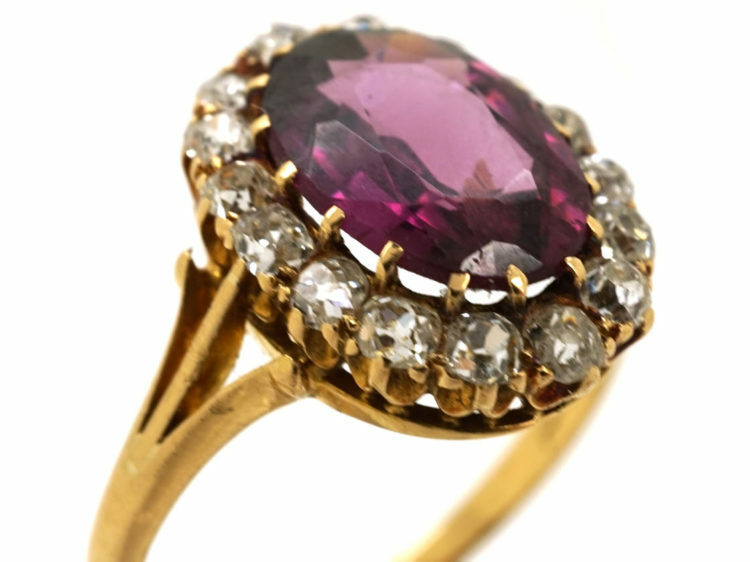 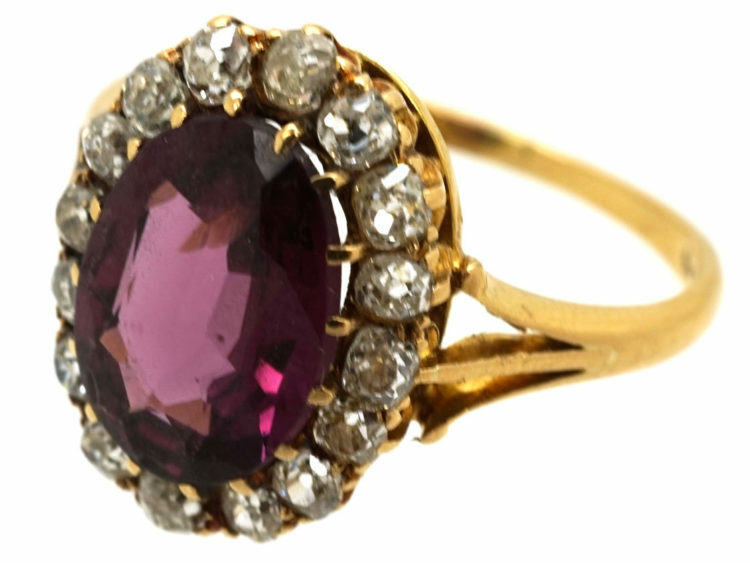 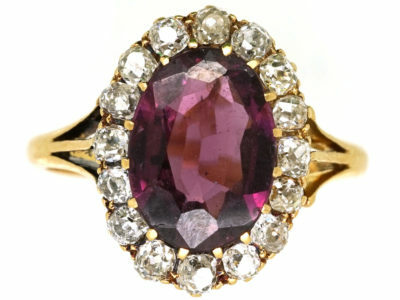 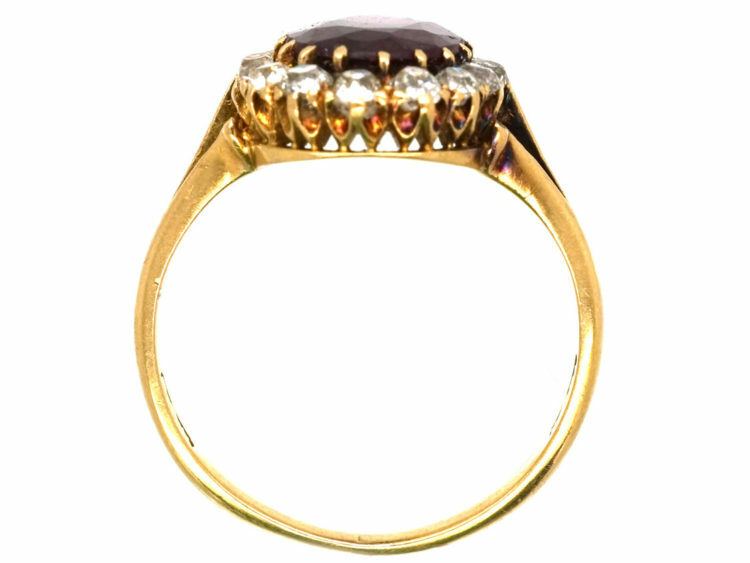 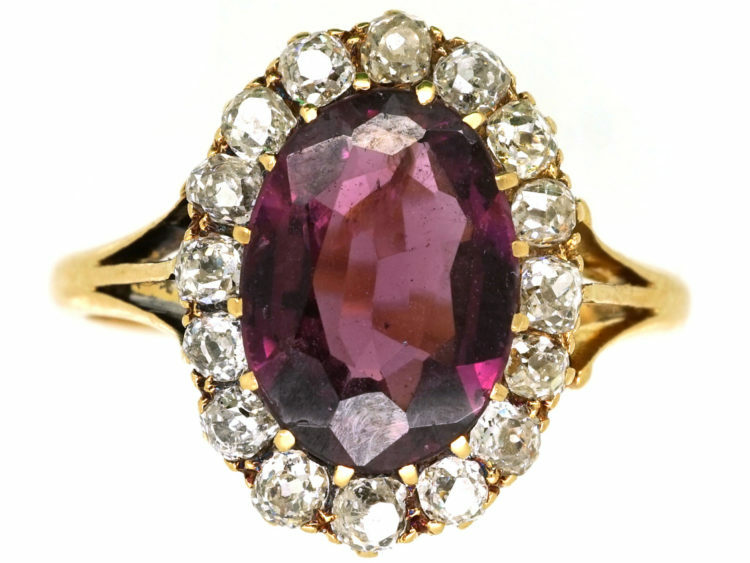 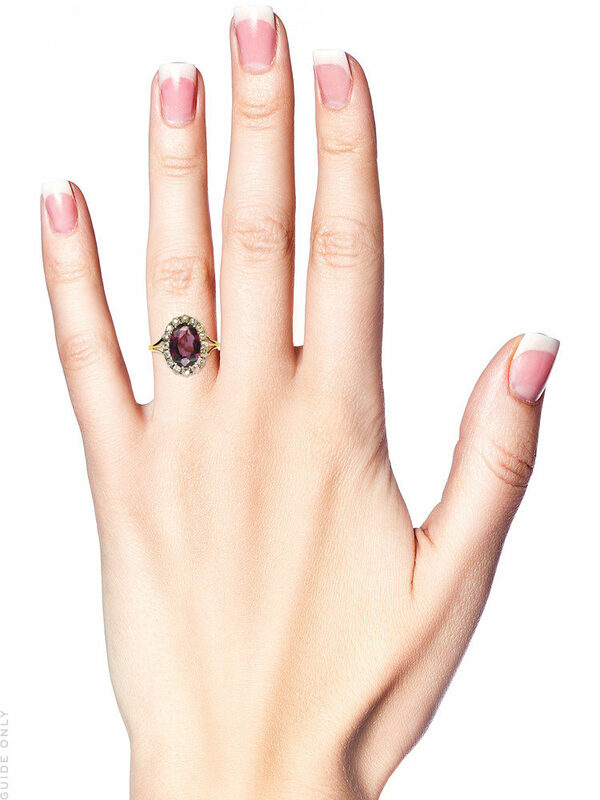 It is set with a large oval almandine garnet surrounded by small old mine cut diamonds. 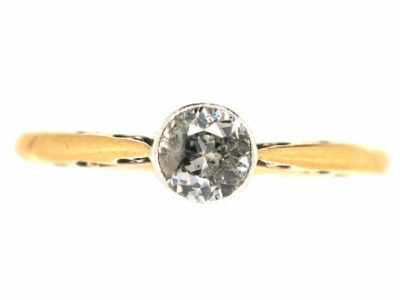 The shank looks light and pretty as it splits into three parts before it joins the top. 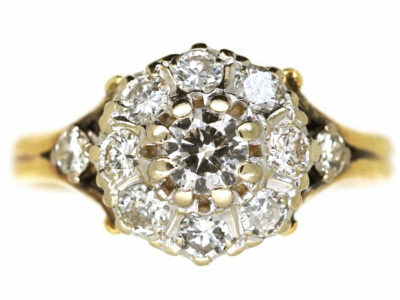 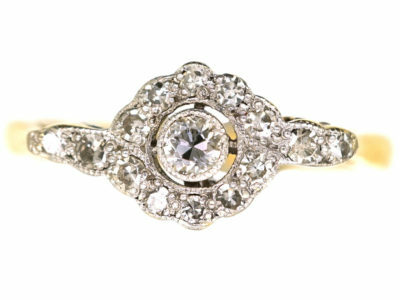 It would be perfect as a dress or engagement ring.